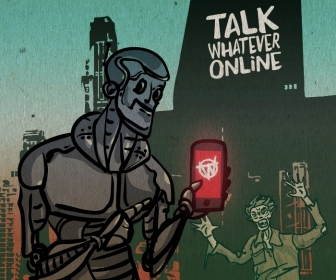 Talk Whatever Online originally launched as Talk Wrestling Online on June 25th 2000, the day of the WWF 2000 King of the Ring PPV. It began at first, just a place for UK wrestling fans to meet. There were 4 main sections to the website: forums, chatrooms, polls and the quiz. Once it began to grow more sections were added, such as columns and news. Then on January 21st 2001, TWO relaunched moving from TalkWrestlingOnline.co.uk to TalkWrestlingOnline.com. The new TWO had more sections, new forums and was not only for UK fans anymore. Talk Wrestling Online had its biggest change on October 26th 2003 when it split into 3 websites – Wrestling101 (for wrestling news and views) Talk Wrestling Online (for interactive features) and Wrestling Directory (for wrestling links). On 30th March 2008 (day of WrestleMania 24) TWO debuted its latest design displaying links to the latest forum threads on each page along with the latest news, articles and blog links from Wrestling 101. On Sunday 7th March 2010 TWO unveiled a new logo and design in preparation for it’s 10th Birthday celebrations in June. This redesign also launched our biggest ever competition. On 12th March 2015 TWO changed again! Renamed as Talk Whatever Online (Wrestling 101 changed to Cult of Whatever) the focus now was not just wrestling but cult entertainment as a whole! The aim of Talk Whatever Online is to be a friendly place for cult entertainment fans from around the world, to meet and discuss their favourite shows, video games and just about anything else! We have had users from Russia, Canada, India, Cyprus, Ireland, USA, Australia and many more countries.